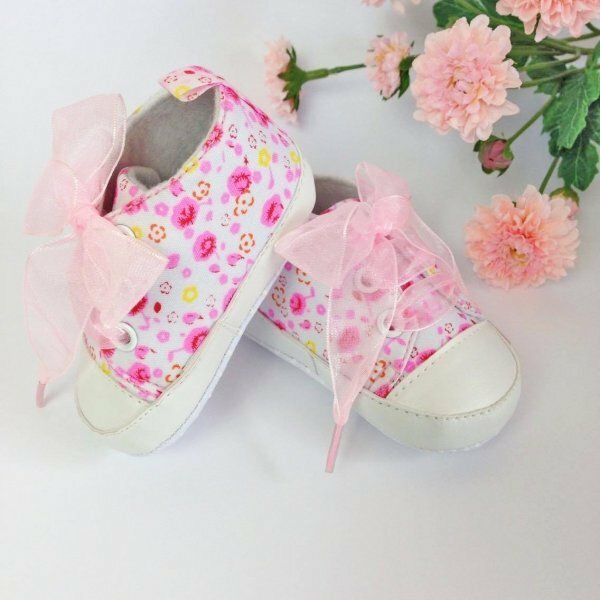 These gorgeous pink floral baby or toddler pre-walker shoes are so cute, perfect for dressing up any little girls outfit. 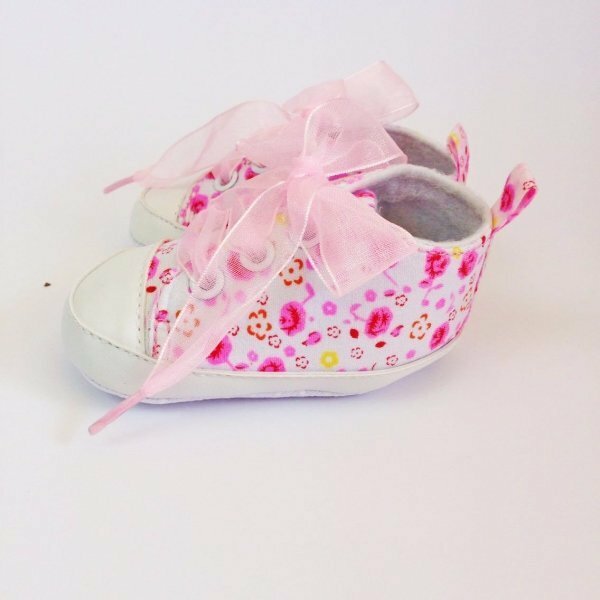 Features soft soles & anti slip bottom with pink ribbon laces. Size: Recommended for 0-6 months of age, measuring approximately 11 cm long. 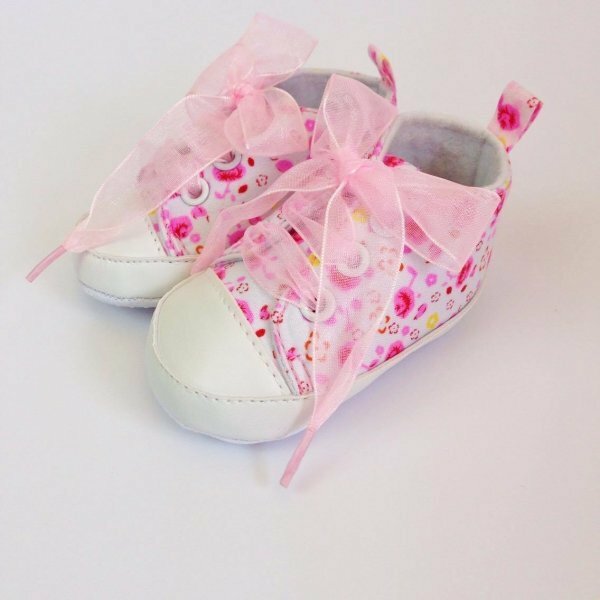 Style: Lace up sneaker style infant shoes. Colour: White cotton fabric with a light & dark pink floral pattern. *Note: These shoes are recommended for children who are not yet walking.